Practiced extensively for healing and cleansing at Sufi & Dancemeditation retreats, these dietary principles are also sound fundamentals for daily health. “Those of you who are scattered, simplify your worrying lives.” — Jallaludin Rumi, Sufi mysticFor centuries Sufi mystics have focused on simple, clean eating to increase consciousness and compassion. 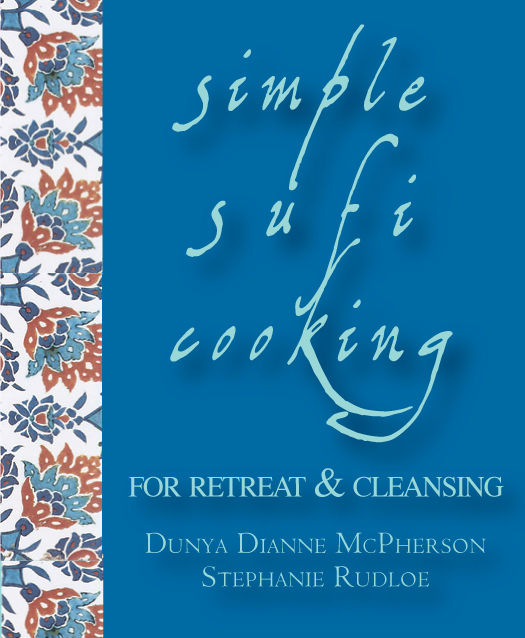 Simple Sufi Cooking brings this approach to you. The word sufi comes from the root word saf which means purity. 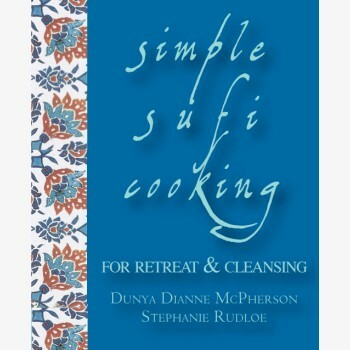 Rather than disguising food, this book shows you how to uncover its delicious, subtle essence.Practiced extensively for healing and cleansing at Sufi & Dancemeditation retreats, these dietary principles are also sound fundamentals for daily health. The diet has helped thousands of people to lose weight, reduce inflammatory conditions, de-stress, and enhance the immune system. The emphasis on uncomplicated, attentive preparation of unadorned food supports the clarity sought in meditative discipline. Cooking this way is elegant, easy and pure. Enjoy the peace it brings.